Multiple sources have claimed Apple will launch its first iPhone with a curved OLED display next year, and now The Wall Street Journal has thrown its weight behind those rumors. 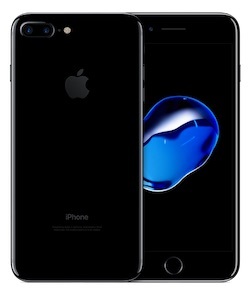 The report claims an OLED version could be introduced as one of several new iPhone models unveiled next year, but it would have a higher price tag than current iPhone models. OLED displays are thinner, lighter, and allow for flexible designs, but they are up to $50 more expensive to produce than traditional LCD displays, according to analysts cited. OLED displays can also be more energy efficient, as unlike LCD displays, they do not require a backlight to illuminate the screen. When displaying black pixels, OLED displays are completely off, which could preserve battery life. Apple is said to have more than 10 different iPhone prototypes under development, so it may decide not to launch a version with an OLED display next year, according to the report. Previous reports said Apple will also launch new 4.7-inch and 5.5-inch models with traditional LCD displays next year. Apple will likely tap Samsung as its primary OLED display supplier, but it wants LG Display, Japan Display, and Sharp to ramp up production for 2018, the report added, corroborating information heard previously. Sharp President and CEO Tai Jeng-wu confirmed Apple's plans to switch to OLED technology last month. I think that Apple should think a while on their decision to split up the iPhone line further. Right now, we have the SE, 7@4.7", and 7@5.5" as the current flagship phones. A streamlined experience and the draw that if you buy one of their flagship phones, you'll be guaranteed to be able to do everything iPhone has to offer was one of the main pulls for buying an Apple product from a developer and a consumer standpoint. As Apple further complicates the iPhone line, they step away from the curator role and start becoming more of a Samsung with a bunch of models shotgun scattered at the consumer to see which ones hit. I can already see the iPhone 7s, the iPhone Pro, and the limited edition iPhone X.
I think having diverse suppliers will be key, and I am hoping for premium phones that offer both OLED and LCD. Not happy with burn-in on my android devices that have OLED, and if Samsung is the only supplier, it's clear they haven't solved that issue yet. its going to be the same like the iphone with bigger screen is so much better and 4 inch isnt perfect all of a sudden. and that 2GB of RAM is also better than the once "enough" 1GB RAM. First, offering big screen and small screen phones, and now curved displays? iPhone 8 Pro for $1.099 confirmed! I'm sure there is a prototype with no buttons, no jacks, and when you turn it sideways, it's so thin it vanishes. Close. But when you turn it sideways only your wallet vanishes. Heh. Actually, that feature happens anyway you hold it. OLED displays are thinner, lighter, and allow for flexible designs, but they are also up to $50 more expensive to produce than traditional LCD displays, according to analysts cited.